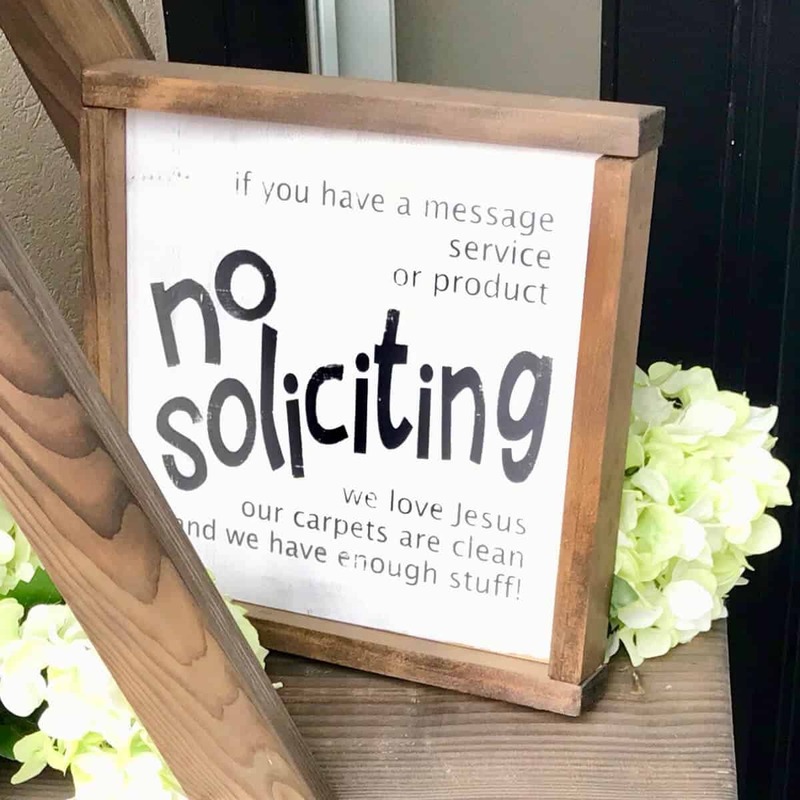 It all started when I knocked on a neighbor’s door and was super impressed with her porch decor! She inspired me to transform my own, very bare porch. 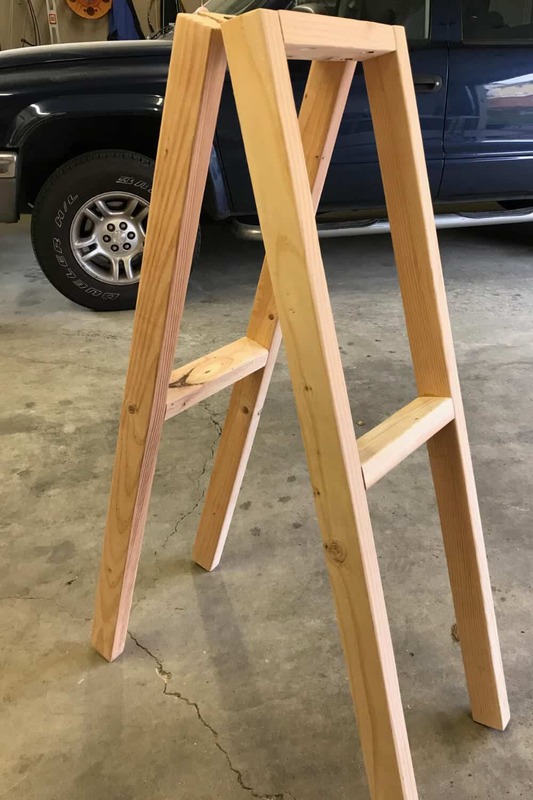 The first step was a DIY Ladder Shelf! Here’s the deal. I had been in a few gift shops and saw cute Ladder Shelves that I knew I could make myself. Without plans, I set to work. This should be super simple, right? I have a way of making things harder than they have to be. 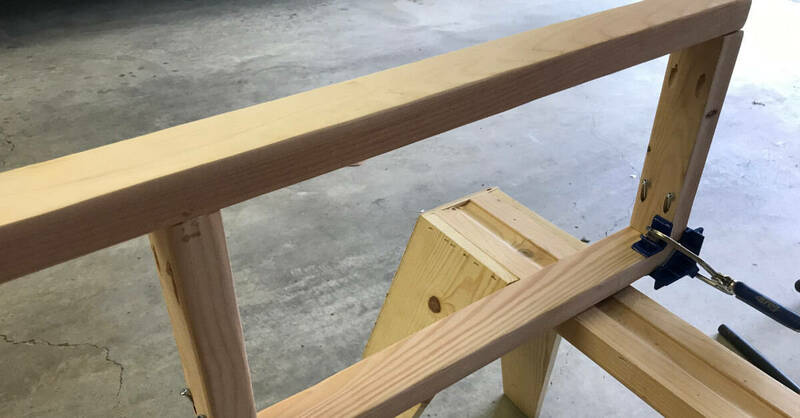 In this case, I thought it would be great to use my Kreg Jig but didn’t take into consideration that I wouldn’t be able to get my drill in between the boards for the second side of the ladder. That meant I had to hand screw the pocket hole screws. Let’s just say my wrist was pretty sore the next day. 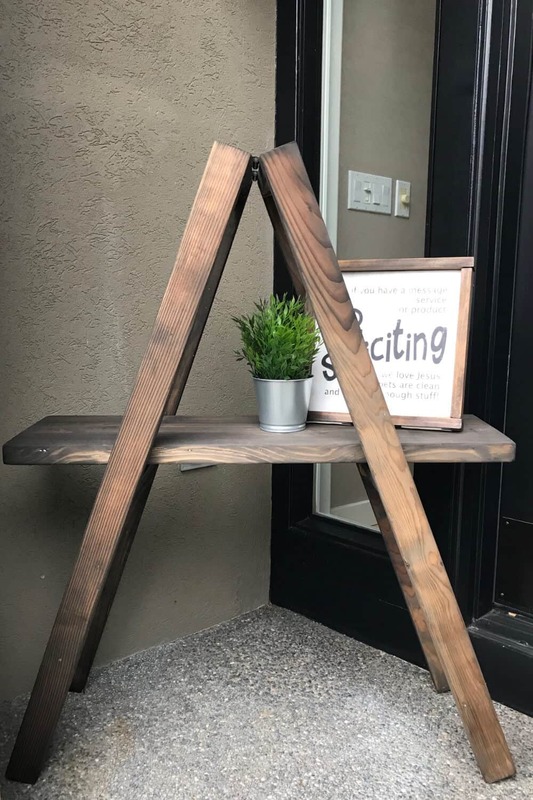 All that to say, you can build this Ladder Shelf in a much simpler way! I’ll tell you what I did, mistakes I made, and what I would do different next time. I started with 4 rough cut 2 x 3 boards cut to 48″ each and 4 rough cut 2 x 3 boards cut to 11-1/2″ each. For the shelf, I used a 2 x 12 cut to 36″. Using my Kreg Jig, I drilled pocket holes at each end of the cross brackets. This is where I should NOT have used the Kreg Jig to create pocket holes. Then, I used 120 grit sand paper to sand each piece. My drill worked great to attach the first side of the cross brackets but didn’t fit between the boards for the second side. 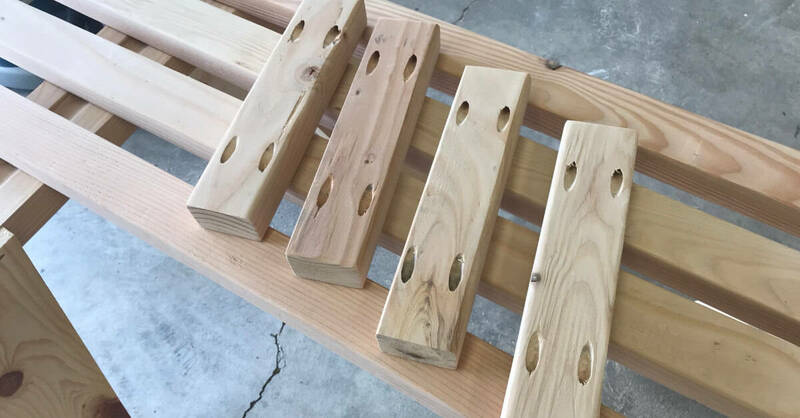 If I were to build another ladder shelf, I would not use pocket holes to adhere the cross brackets. Instead, I would use red Deck Plus Screws and screw right through the outside of the ladder shelf. The screws would be visible but would add to the rustic look! 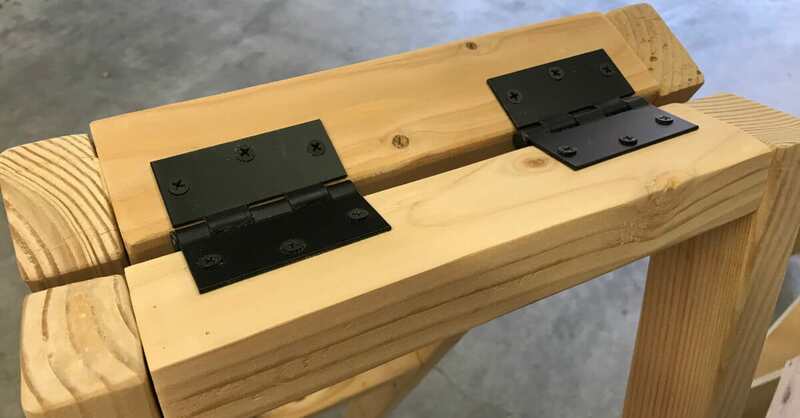 Next, I lined one of the 11-1/2″ boards up with the top of a 48″ board using a Kreg corner clamp and wood glue, and screwed the two pieces together with 2-1/2″ pocket hole screws. I’m certain it’s user error but the Kreg corner clamp didn’t line the boards up quite right so they don’t sit flush. It still works just fine but the ladder is no where near straight. 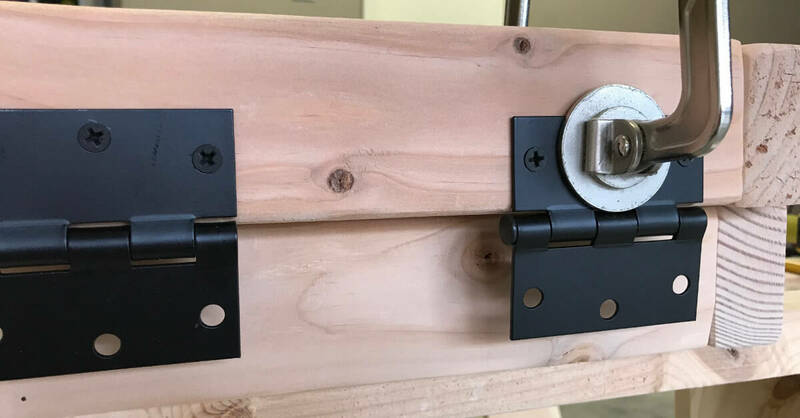 In the future, I would line the boards up and use a regular Kreg clamp to keep them secure while I attached them with screws. See that? 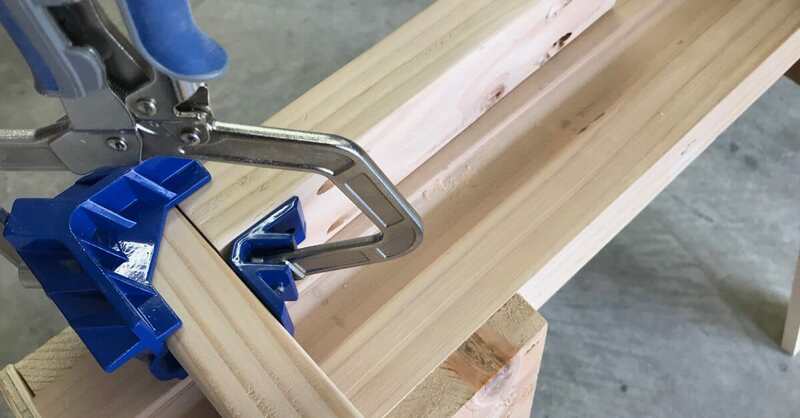 I had the Kreg corner clamp set and screws ready to go but my drill wouldn’t fit in the space so I had to screw them in by hand. The middle cross bars were placed at the halfway point of the ladder sides. Since I only have one shelf on this ladder shelf, I would lower the shelf about 4″. The Kreg clamp came in handy to hold the hinges in place while I attached them to the top of the ladder sides. As mentioned above, the tops of each ladder side were not lined up appropriately (user error) so the ladder sits a little crooked. 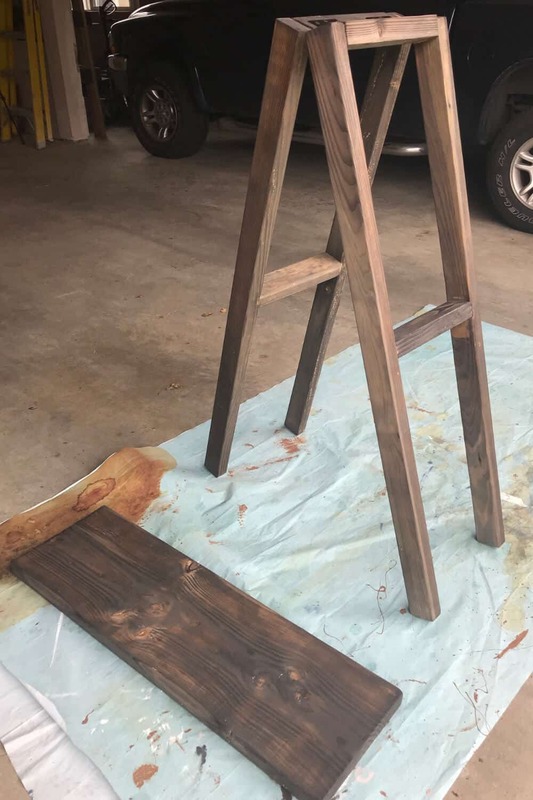 I used Homemade Stain for my Ladder Shelf and finished it off with three coats of Polyurethane Spray since it will sit outside (under cover but still in the elements). 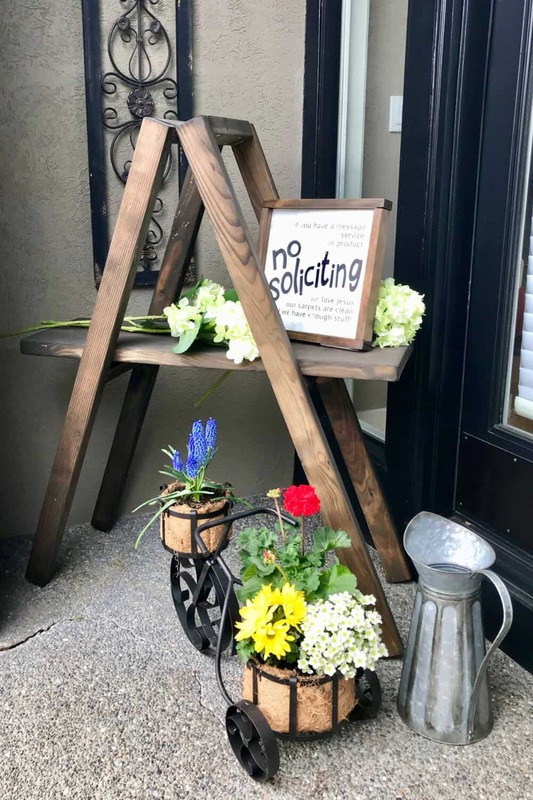 I was excited to get my new ladder shelf on the porch so I could get my No Soliciting sign out of the window and on the porch! It wasn’t the vision I had in my mind, so I turned to Facebook friends for advice. They always have so many great ideas! After a few trips to different stores, I found this fun bike planter, watering can, and a few fake flowers to lay on the shelf. It’s perfect! 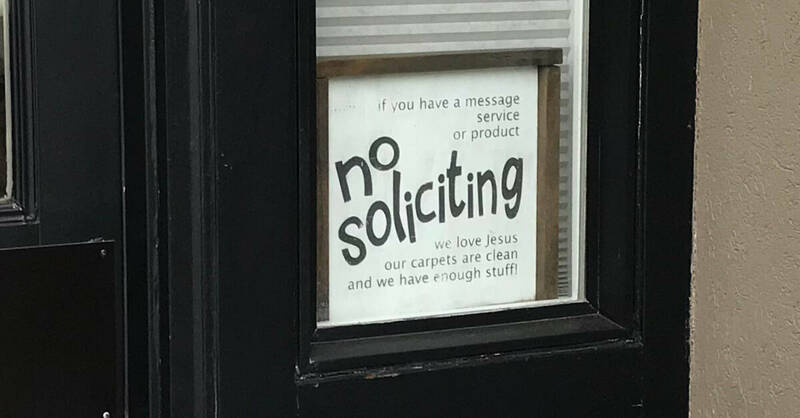 Our No Soliciting sign is happy to be outside instead of hiding behind the window. We are super happy with the way this Ladder Shelf turned out! 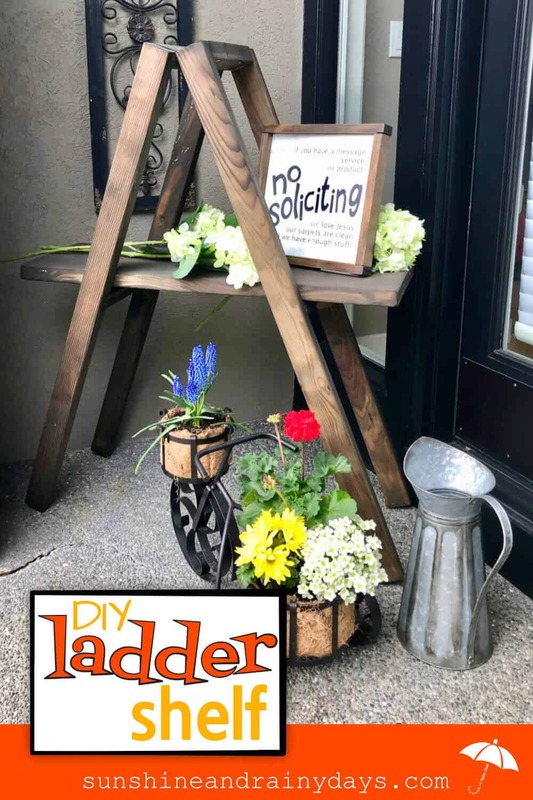 I had a few mishaps along the way but you can learn from my mistakes and make your Ladder Shelf in a much simpler way with fantastic results! Subscribe (free!) 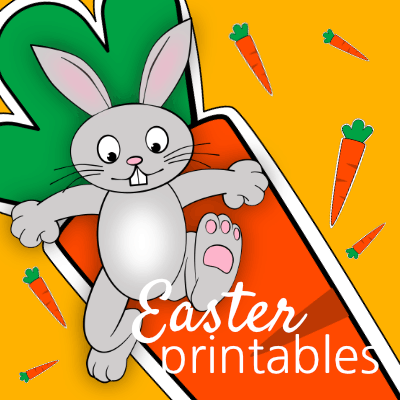 to gain access to my Resource Library full of FUN Printables! Once subscribed, you will receive marketing emails with Printables, DIY Projects, and FUN for your Everyday Life! 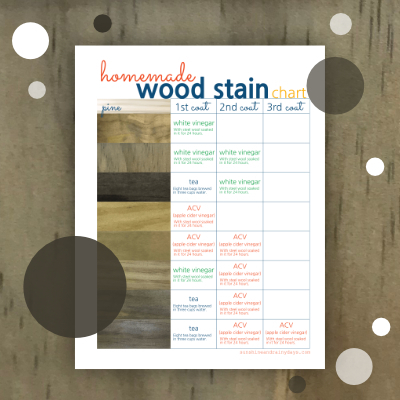 Enter the Printables Library for the latest Home Printables!